2 Improve your listening. 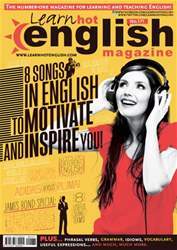 Every magazine has 60 minutes of spoken English audio. You’ll learn to understand English, plus you can hear lots of different accents!